Home > Parenting	> When the Premier Comes Knocking, Do You Answer? When the Premier Comes Knocking, Do You Answer? I initially assumed it was spam and almost deleted it. But closer inspection showed the email was a legitimate query from the office of our Premier, Christy Clark, to come to her office to discuss ways the government can improve things for BC families. My first reaction was this was like our Prime Minister asking Howdy Doody for help. I might possibly be the least politically minded person in the Northern Hemisphere. I know she’s busy, but hasn’t she read my blog? Then again, perhaps that is the point. After this initial reaction, a tirade of others. As if she will listen to little old me when I propose the province of British Columbia create a traveling circus to be available, free of charge, for the children of British Columbia. And where the hell was the Premier ten years ago when I was a working mother with absolutely NO daycare options for my tiny tots? Better tardy than never, I suppose. So I have thrown myself head first into a political crash course, figuring out federal versus provincial jurisdiction between carpools and laundry. Note I didn’t say between whale sperm facials and shopping, like those proper Real Housewives of Vancouver. Leading off with the idea that the provincial government should come to an agreement with our teachers is a bit obvious, but clearly that is one thing high on our list. For the love of God, put that problem to rest. And how about a provincial fitness tax-credit to match our existing federal credit? More encouragement to get our kids off the sofa and get some exercise. One friend has passed along a plan for changes and improvements to Early Childhood Education, so that we can provide an affordable, integrated childcare system. In the jaded, shadowed recesses of my mind, I wonder if this is all a publicity stunt. On the other hand, it can’t hurt to try. The meeting is next week. It’s downtown, which means I should change out of my track suit, possibly the most exciting aspect of this invitation. Really, thanks Christy Clark. I thought you’d never ask. Want me to be your mouthpiece? If you have any suggestions, or a burning desire for a province-wide traveling circus, this is your chance to dish. What an opportunity! Awesome Dee! Look forward to hearing all about it! Thanks El! I feel strangely grown-up, hopefully I can act the part. I think that’s awesome! Those other guys (past premiers) never asked you to a round table did they? 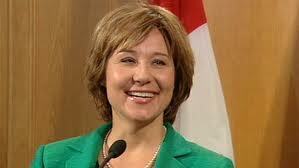 I think Christy inherited some bad policy and curmudgeons, I hope she gets some positive momentum going soon. And remember, she is a real Housewife of Vancouver too 🙂 good luck! That’s a really cool opportunity. This invitation is another reason Canada is looking better every day–better than the US, that is! Education, childcare, medicine, still top my list. Too many outrageously bad experiences with hospitals in the last year (ditto for education, ditto for childcare….!!). Lessons in Life (and Self-Publishing an E-Book) Putting the Fun into Fundraising: Tonight, We Party.